The app I am going to review is YouTube. I chose this app because it has a wide variety of science videos. The good thing about videos is that it has the ability to go more in depth than just writing and pictures. There are also lots of channels like home science, science channel, crash course science, discovery channel, all these channels and many more involve science. This app is great for learning things about science because people make videos on everything you can imagine in science. 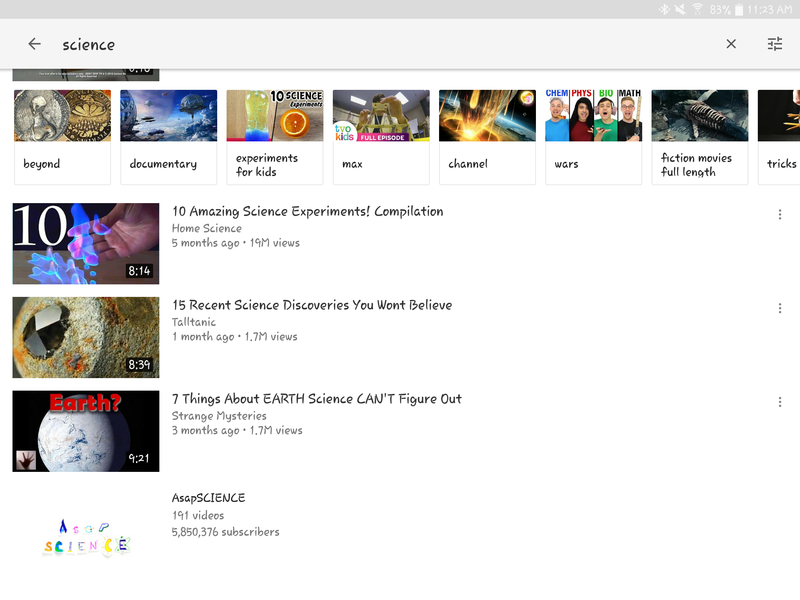 People make videos on things like atoms, theories, and even chemical reactions in space. It will give you any information on science that you will ever need. 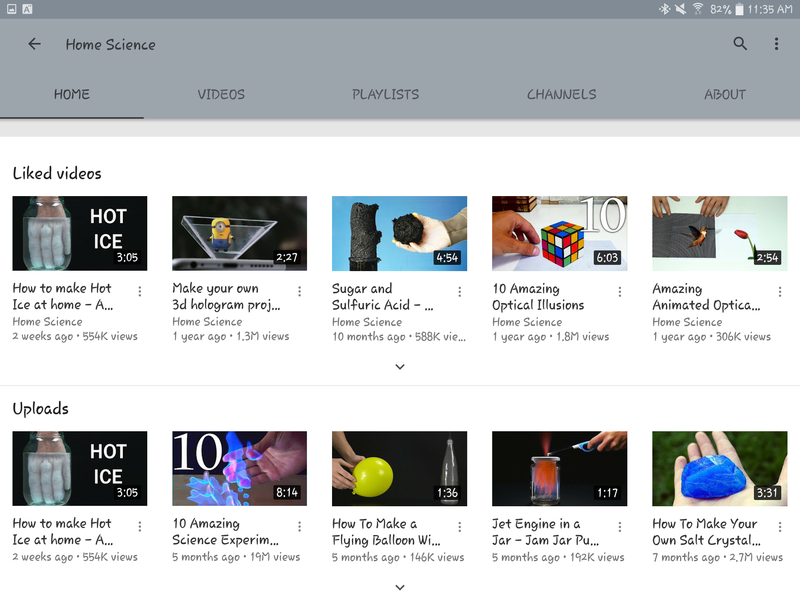 YouTube is an app that has a wide spread of science videos and also other videos. Almost everyone uses and is very trusted so you don’t have to worry about viruses or any of that also it is downloadable so you don’t have to search it up on the internet every time and you don’t have to worry about not having enough storage on your phone because it only takes up 59.9 MB. 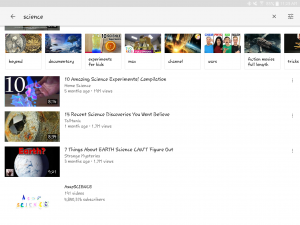 YouTube is an American video sharing website that has over one billion active users every month and millions of science videos on multiple science subjects like chemistry, physics, astronomy and biology. This entry was posted in Uncategorized and tagged ADL16review by liamc2016. Bookmark the permalink.